Have you found a resolution to your problem yet? 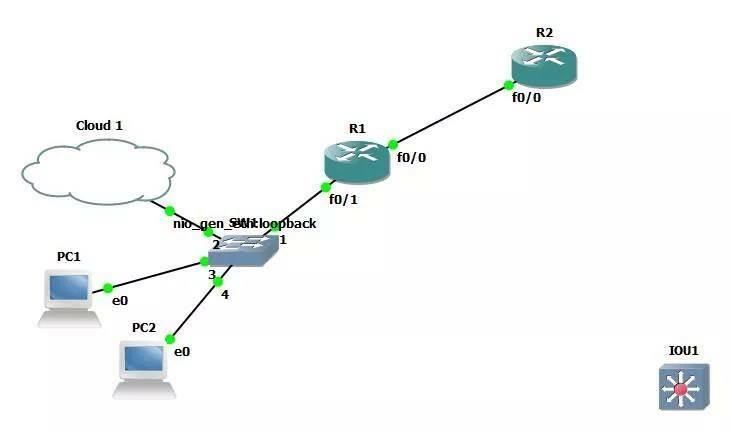 If I understood your problem correctly, you'll need a router or a multilayer switch to be able to connect it to your could, assuming its a lab. In the real world, you'll need another router that connects the could to the switch. The router will also need to perform Network Address Translation (NAT) - another reason why a switch wouldn't work as they cannot perform NAT. Do let us know if we can further help you.